Jesus is a rabbi worth following. In Jewish society, rabbis were held in high regard. This prestigious group of men was entrusted with the education of children. By the time a child was 10 years old, rabbinical students were expected to have Genesis through Deuteronomy memorized verbatim. Play a game of reverse hide-and-seek with your kids. Have them find a hiding spot, and then tell them to listen for your voice. When they hear you calling them, have them run and see who can get to you first. Repeat, finding different hiding places each time. After playing, gather and read Luke 5v1–11, where Jesus called His disciples. Ask what it was about Jesus that made the apostles want to follow Him. Then discuss what it is about Jesus that makes your family want to follow Him today. What do you think it was like to sit in the boat with Jesus? Why did Peter decide to follow Jesus? These questions can easily extend into the rest of the week. Look for opportunities to bring conversations about how Jesus Is Worth Following into your everyday life as a family. A blessing to pray over your child: (Child’s name), may you always see how good and faithful God is. 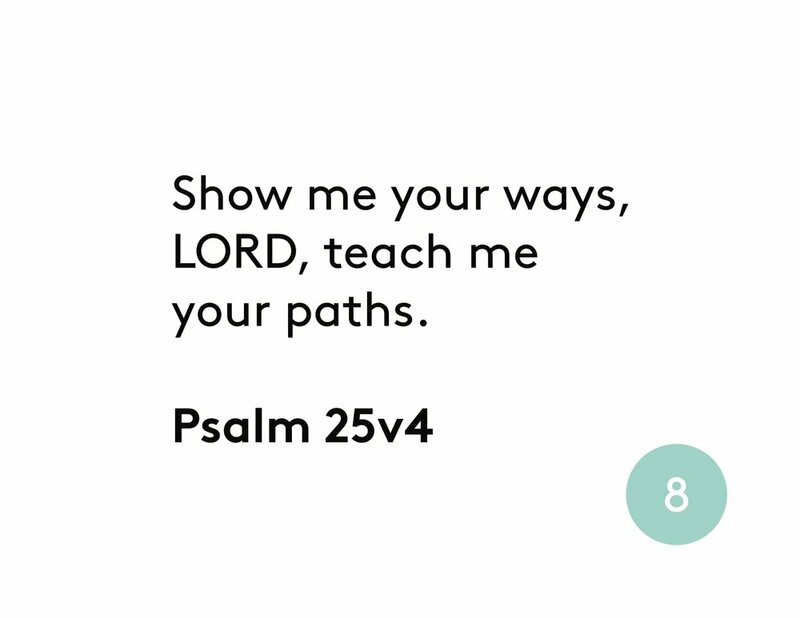 May you trust that He knows your path. May you follow Him all the days of your life.